BEFORE we get started on the latest ISIS “inspired” attack in Philly – aka the “City of Brotherly Love” – patriots, let’s be VERY clear: Regardless of any “lone wolf” appendage or what not, the results are the same – militant jihad is a VERY clear and present danger within America! Full stop. 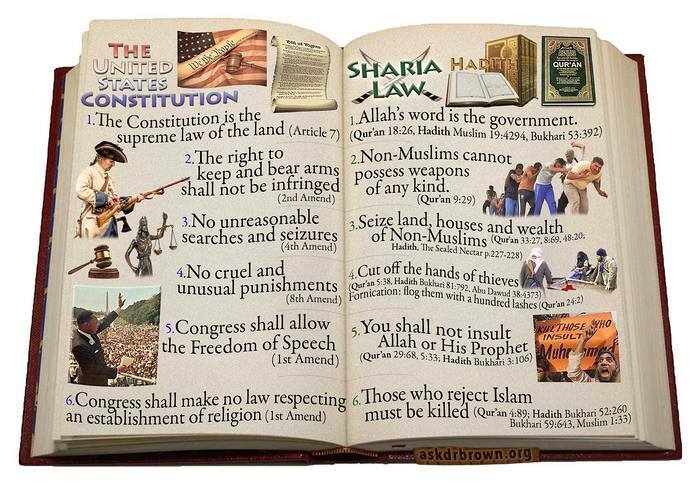 Moreover, the very fact that HUSSEIN Obama has given Islam a tailwind, a protected status within the nation, well, a “kosher” stamp of approval has been signaled to attack Americans. Do not dare to feign otherwise. Yes, even nursery school age kiddies understand when a wink and a nod towards misbehavior is approved. Sheesh. Her comments came just a day after the massacre in San Bernardino, California, where a Muslim man and his wife accumulated an estimated $30,000 in weapons and bombs, then launched an attack on a Christmas party for employees of the county where the man worked….continue reading…. The usual gang is involved in this, led by Muslim Congressmen Keith Ellison and Andre Carson. However, it isn’t just the Muslims that are advancing this, it’s the rest of the communists in the Democrat Party tagging along. Eleanor Holmes Norton, Loretta Sanchez, Charles Rangel, Debbie Wasserman Schultz, Joe Kennedy, Al Green, Judy Chu, Debbie Dingell, Niki Tsongas, John Conyers, José Serrano, Hank Johnson, Joseph Crowley, Carolyn Maloney, Charlie Rangel, Brian Higgins, Gregory Meeks, Grace Meng, Jose Serrano, and Paul Tonko are among the less than distinguished list. Here’s the question that needs to be addressed: Where is violence being done to Muslims in America? I’ve certainly seen the Muslims self-inflict hate crimes against themselves, something they learned from the sodomites. I’ve also seen a plethora of Muslim jihadi attacks here in America, some even openly against Christians and Jews. Where are the resolutions from these anti-Americans regarding that kind of bigotry, violence and hate? Frankly, I don’t want it. It isn’t they job to do so….continue here…. BUT there’s more. So, let’s get down to operational matters, relative to militant jihad and its presence inside America. IN this regard, a mere five weeks ago (Dec. 2, 2015), ISIS opened fire in San Bernardino, California. Now, in and of itself, this short timeline between attacks may not have any particular meaning for Americans and general onlookers. However, it is highly germane and understood as such by those who recognize “signature” hallmarks and tactics by militant jihadists – the jumping to a stepped- up basis! EFFECTIVELY, in its current manifestation, shootings (and not necessarily at police officers and the like) are their “go to” method of delivery. Nonetheless, this tactic will be replaced (whether by the aforementioned lone wolves, or others dispatched as operational hit squads) at the time and place of their choosing. Mark these words. ONTO the latest from Islam’s barbarians…. Authorities say a Philadelphia police officer is recovering after he was shot several times during an ambush late Thursday night in West Philadelphia. Philadelphia police commissioner Richard Ross says the officer, identified as 33-year-old Jesse Hartnett, was sitting in his patrol car around 11:30 p.m. at 60th and Spruce Streets when a gunman fired 11 shots through the driver’s side of the car. In a press conference, Commissioner Ross said the gun used in the attack was a stolen police firearm. “Shots fired! I’m shot! I’m bleeding heavily!” Hartnett could be heard yelling on police radio. Police sources identify the suspect as 30-year-old Edward Archer, of Yeadon. Hartnett returned fire and struck the suspect at least three times. The suspect tried to escape on foot, authorities say, but was quickly caught and taken to the hospital. Sources say the wounded officer told investigators that Archer walked up to the car, appeared to be about to ask for directions when he pulled a 9 mm and opened up with shots. The officer was hit, then fired back. The suspect was wounded, but he does not have life-threatening injuries. MOST resolutely, anyone who dares to ignore the hoisting of the BANNER OF ISLAM in this (or any other) act of militant jihad – as prescribed within the bloody and filthy Koran – should be smacked and shunted aside. YES, words DO matter, as they are the messages sent to the public. REGARDLESS of anything else (despite continuous shootings by gang- bangers and criminal violence throughout U.S. cities), this attack, as well as others related to militant jihad, dare not be classified as “business as usual” ala skyrocketing crime statistics in America! Rest assured, criminals and terrorists will ALWAYS find guns, irrespective of any (il)legal clamp down via gun control. Besides, most rational folks, as well as those with an ounce of integrity, recognize what’s what. Not only that, those screaming the loudest for more regulations are hardly interested in clamping down on gun laws that already exist on the books! IN any case, as repeatedly demonstrated, relying on the FEDS is a fool’s errand. If anything, this site’s previous recommendation to give a shout out to former Marines to deal with militant jihadists, be they ISIS or another offshoot, couldn’t be more urgent. Timely. HEY, Barack HUSSEIN Obama, it is time to man up, to ‘fess up, and explain to the American people why their lives don’t matter!! This entry was posted in Uncategorized and tagged Islam Exposed, Loretta Lynch: Obama's hatchet woman, militant jihad and its presence inside America, Philadelphia police officer "meets" militant jihad, Shariah compliant attacks increasing in America, The Homeland Security Network by Adina Kutnicki. Bookmark the permalink. Find places to speak in your community. You can answer questions people need to hear. The United States current government has completely turned itself around and put the American people in harms way instead of defending them. This is because we have a president and his entire cabinet (hand-picked by “him” that are pro-radical Islamic terrorists.) This president has PROVEN time and again that he is not only a radical Muslim himself but all those who surround him are of the same mentality thus nothing that he “says” or “does” makes any sense. When he tells the American people that the crime rate has gone down under his reign, he is, of course lying as he has done on almost everything he has spoken about except for fundamentally trying to “change” this country to become one with the Third World with the “Islamic Persuasion” aided by the very rich and the very powerful who have always had a demented sense of morality. Firstly, send me a link to the site’s ABOUT tab…who is behind it etc. the GHomies site is my attempt to find and share good information with Americas young people from people that help make a difference. Pingback: Israel's Voice | ISIS’S ASSASSINATION ATTEMPT IN PHILLY: Will Patriots (Foolishly) Rely On The FEDS For Protection? What’s The Alternative?